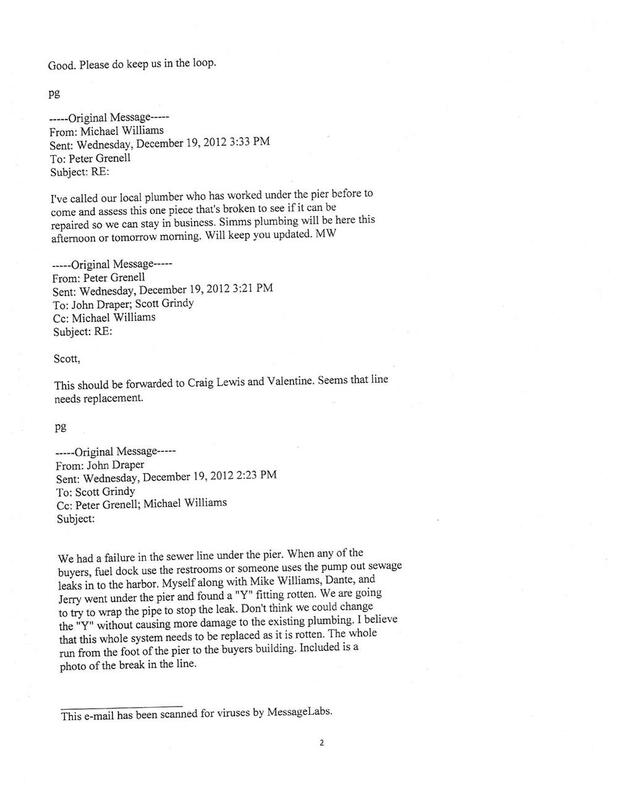 December 19, 2012 email from Harbor Patrol staff to Scott Grindy, Harbormaster informing him about a sewage leak under Johnson Pier. The email said, "I believe this whole system needs to be replaced as it is rotten." 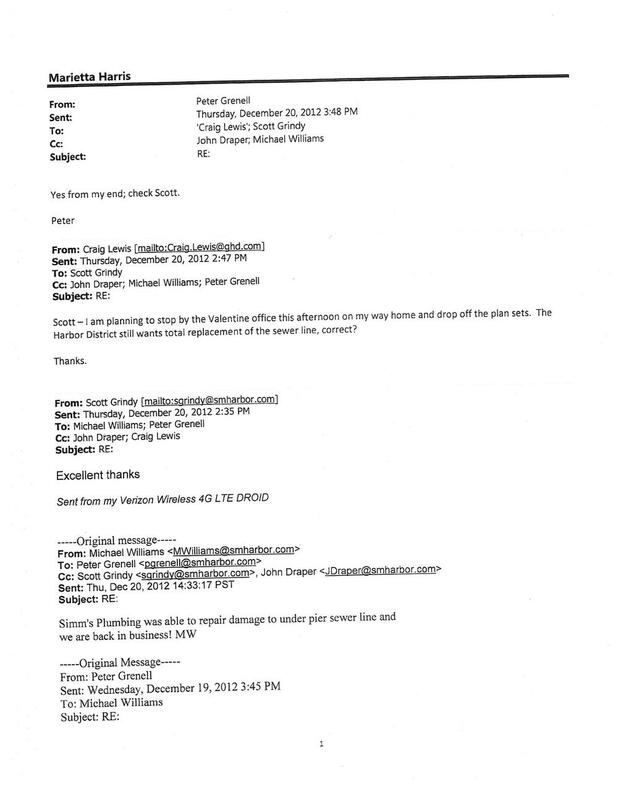 Peter Grenell, General Manager was copied on the email. Why didn't the General Manager or the Harbormaster report the leaking pipe?